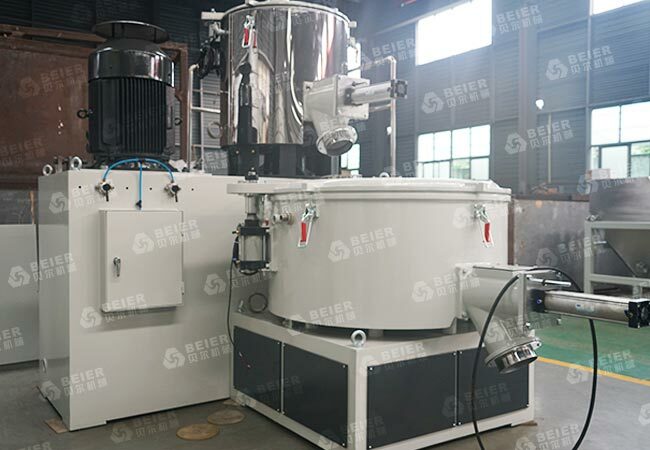 High Speed Plastic PVC Compounding Mixer is mainly used for mixing, coloring and drying of PVC powder material and PP/PE compounding. PVC compounding mixer can also be applied in dryness of ABS. This PVC Compounding Mixer consists of hot mixer and cooling mixer. The hot mixer work with heating function for good mixing and plasticizing. The material after processed in the hot mixer will be discharged into the cooling mixer. In the process of cooling mixing, hot gases will be exhausted and material be cooled down.